Join us for our 3rd Annual Holiday Hotcakes event! Families will feel festive eating pancakes, drinking hot cocoa, creating holiday crafts, visiting with Santa, and enjoying snow... in Florida! Join us for a pancake breakfast and some holiday cheer! Family Pass includes 4 people. 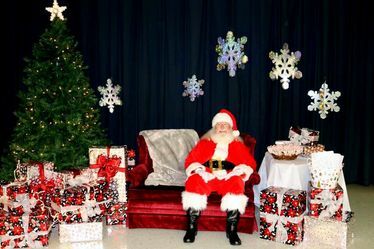 Receive a 5x7 printed picture during the event of your family with Santa or in our Winter Wonderland. Want to bring more than 4 family members to our Annual Holiday Hotcakes event? No problem. The more the merrier!